1. 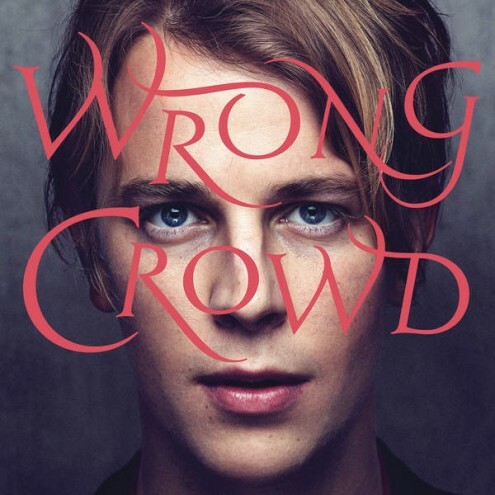 Fast genau drei Jahre nach seinem Debütalbum „Long Way Down“ veröffentlichte der 25jährige Engländer gestern sein zweites Album „Wrong Crowd“. 2. Zwischenzeitlich war von Tom Odell eine Single erschienen, die nicht auf „Wrong Crowd“ zu finden ist: „Real Love“, eine Coverversion des Beatles-Songs, der 2014 im Rahmen der John Lewis Weihnachtswerbung veröffentlicht wurde und auf Platz 7 der UK Charts kletterte. 3. 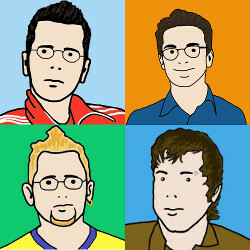 Nur als digitale Single wurde im April vorab der Titelsong veröffentlicht, der daher auch nicht den Weg in die Hitparaden fand. 5. „Magnetised“ wurde, ebenfalls noch im April, als zweite Single ausgewählt und erreichte in England den 67. Platz der Single-Charts. „Here I Am“ lautet der Titel der dritten Single. I wanted the songs to sound big and dramatic; big strings and melodies emphasizing the songs further – rich in musicality and holding nothing back. The album follows a narrative of a man held at ransom by his childhood, yearning for it, yearning for nature- a desire for innocence in this perverse world in which he now lives. It’s a fictional story but the emotions and feelings are obviously ones I have felt – though the stories are elaborated and exaggerated. I wanted to create a world with a heightened sense of reality. 7. „Wrong Crowd“ beinhaltet 11 Songs und ist nicht nur als Download, CD oder Vinyl, sondern auch als Kassette käuflich zu erwerben. 8. Die Deluxe Version der CD wartet mit 4 weiteren, bisher unveröffentlichten Titeln auf: „She Don’t Belong To Me“, „Mystery“, „Entertainment“ und „I Thought I Knew What Love Was“. Tom Odell has already reached the point where familiarity breeds pleasure. There are two ways this can go: engage or extricate. If you choose the latter, then you’ll miss out on a mostly strong collection of songs that highlight 25-year-old Odell eagerly digging into early influences: he grew up listening to the likes of Elton John, Billy Joel, Randy Newman, Jeff Buckley, and Bruce Springsteen, and it’s fair to say that what’s on offer here reflects rather than builds on similarities. Yet Odell adds a contemporary twist, and when it’s good (Sparrow, Concrete, Constellations, Wrong Crowd) it’s impressive; when it’s bad (Magnetised, which borrows too clearly from Coldplay and Florence + the Machine), it’s dismal.